The Harvest Cupboard (item no. 360) features two drawers and boasts lots of storage space. Accommodates Cubby Bins (item no. 115) in the square openings. 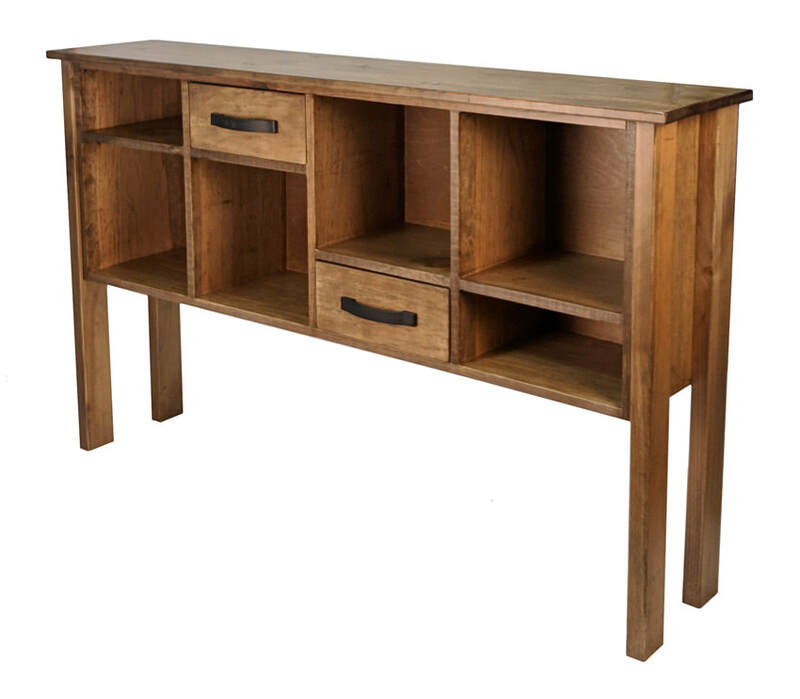 Its 5-foot length provides a nice size for use as sofa table, console, or sideboard. Finish shown here is Classic Stain ClearCoat. Upgraded Matte Black drawer pulls also shown. Finish shown here is Black with Classic Stain CC Top. Upgraded Matte Black drawer pulls and optional Cubby Bin (#115) also shown.